If you need to carry a spare battery for your laptop and phone, Cygnett’s latest is so big, it’s the most you can take on a flight. As the age of USB Type C hits more phones, tablets, and laptops, and we approach a world that can be recharged simply by carrying around a battery, it makes sense that at certain times, we’re going to need to rely on these batteries for quite a few things. While they were once made for people to make it through an entire day for their smartphone, the backup portable battery is now being made to do even more, and keeping your laptop or video game console is one of the said possibilities. These portable battery packs often maxes out 20,000mAh in the big models, but no more. Australian peripheral maker Cygnett has announced a bigger, meatier power bank which not only packs in a larger battery, but also hits the largest amount you can take on an aircraft. 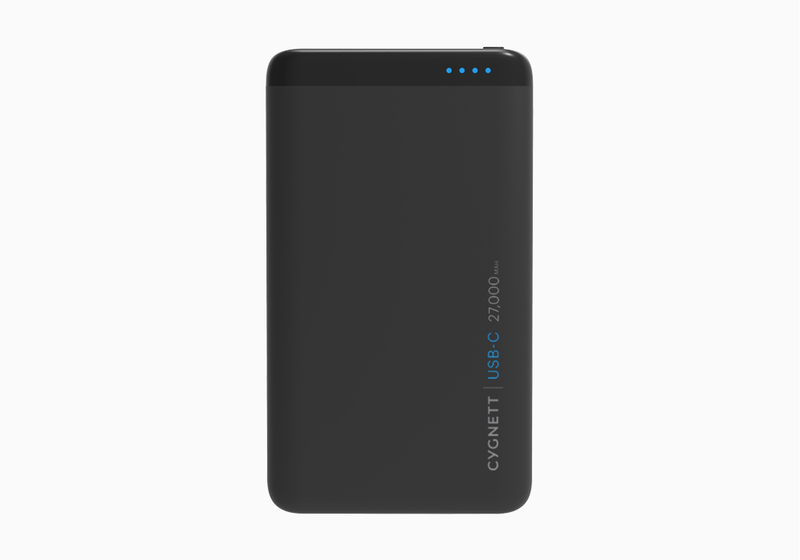 It’s called the Cygnett ChargeUp Pro 27,000mAh Power Bank, and it is exactly what the name says: a power bank packing 7,000 more mAh than the previous 20,000 model, and offering 72W over the previous 63W. There’s also support for 18W fast charging in new iPhone models, capable of restoring up to 50 percent battery life in 30 minutes. 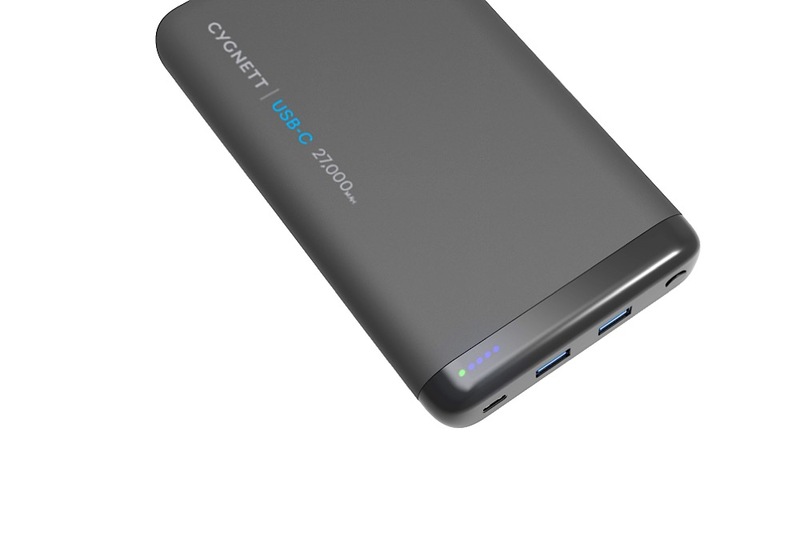 Like the big 20,000mAh ChargeUp Cygnett released last year, the 27,000mAh model can be used to charge up laptops powered through a USB Type C port, like Apple’s recently launched MacBook Air, the previously reviewed MacBook Pro, HP’s Type C-based laptops, and anything else that relies on that USB Type C port to get its charge send through. That’s because there’s a 60W USB Type C port at the top of the 27,000mAh ChargeUp, alongside a smaller 12W Type C port and a 12W regular rectangular USB Type A port offering charge capability for devices big and small. The ChargeUp 27,000mAh isn’t exactly small itself, nor is its price, which sits at $179.95 and is available from local retailers across the country, alongside some new “Armoured” Cygnett cables strengthened by Kevlar fibre, which can be found from $14.95.